When I think of teenage musicians, my mind immediately conjures images of fleeting pop sensations like Justin Bieber, whose music is largely of the disposable and generic variety. As a general rule, their songs are cloying and one-dimensional, with unrelenting dance beats and tritely catchy lyrics but without emotional depth or any indication of thoughtful musicality. But there are exceptions to that rule, the ubiquitous Taylor Swift being one that immediately springs to mind. Swift’s music career, already long and storied even at her young age of 25, has endured because she has been willing to evolve from her original plainspoken acoustic country style to her current iteration as a brazenly in-your-face pop culture diva. “Diva” is the very last word in the dictionary that one would choose to describe 19-year-old Bridie Monds-Watson, better known on stage and on record as SOAK. SOAK is about as far removed from Taylor Swift as she can possibly be, on the pop culture continuum and the music continuum as well. Where Swift successfully employs the aforementioned sick-beat-catchy-lyric technique (am I allowed to use the phrase “sick beat”? ), SOAK takes a much more subtle tack on her debut album ‘Before We Forgot How To Dream’. Dressed modestly in black and armed only with an acoustic guitar and loop pedal, SOAK mesmerized her audiences at SXSW 2015 earlier this spring with the austere sincerity of her performances. And though her album features fully fleshed out instrumental arrangements of the songs we heard in Austin, its outstanding characteristic is still SOAK’s delicate singing voice, the fragile sensitivity of her delivery matching the tender honesty in her introspective lyrics. SOAK’s skater-teen background does show itself momentarily in the youthful text-speak spellings of some of her song titles, including ‘B a noBody’, whose video is just below, and ‘Blud’, which we featured as a Video of the Moment back in April. Despite their initial appearance, these are not superficial teen pop tunes with computer-generated backbeats and lyrics about boys and fashion. ‘B a noBody’, which follows the instrumental ‘My Brain’ to open the album, lingers in the ears with the haunting, vaguely sad refrain, “come on, come on / be just like me / come on, come on / be a nobody”. ‘Blud’ is a bit grittier, as SOAK intones the line “you’re in my blood” with an affected pronunciation suggestive of the track’s spelling. This mildly irksome vocal mannerism persists throughout the album, clearly a deliberate artistic choice made to enhance the expressivity of SOAK’s singing, but the overall beauty of the songs assuages the minor annoyance. Following the opening three-track sequence, SOAK continues to intersperse her songs with short, curiously-titled instrumental interludes, which provide moments of reprieve and reflection among the fluctuating moods of the proper songs. The more upbeat tracks like ‘Sea Creatures’ and ‘Garden’ nicely balance the darker tone of ‘24 Windowed House’ and the ethereal ‘SHUVELS’. SOAK revisits the rougher edge of her singing voice on standout track ‘Reckless Behaviour’ before closing with the piercing melancholy of ‘Oh Brother’, which contains the album’s title lyric, and starkly moving final track ‘Blind’. ‘Before We Forgot How To Dream’ is eloquently written from a truly special vantage point at the precise intersection of adolescence and adulthood. The songs are replete with SOAK’s unique combination of poignant emotionality and growing intellectual awareness, a distinctive juxtaposition she might never be able to again achieve. However, my overwhelming sense upon hearing the complete album is that SOAK has enormous potential to evolve, both musically and personally, just as her pop counterpart Taylor Swift has done. In which direction that evolution might take SOAK of course remains to be seen, but the sky will be the limit if she keeps her own dreams in sight. SOAK’s debut album ‘Before We Forgot How To Dream’ is due out next Monday, the 1st of June, on Rough Trade Records. The album is currently streaming in full on NPR. 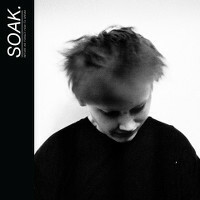 SOAK will support the album release with live dates in the UK and Ireland; find all the details here. If you’ve missed our previous coverage of SOAK, including her appearance at SXSW 2015, you can find it all right back here.